Mr. Anil Tyagi is a graduate in law and post-graduate in commerce from University of Delhi & Diploma in Journalism, a senior journalist having spent over 35 years in print as well as electronic media. He is the Editor of Gfiles (www.gfilesindai.com) India’s exclusive magazine on governance and civil services since 2007. Mr. Tyagi was Political Editor, Jain Television from 1998 to 2004; prior to that he worked with leading media houses such as RAVIVAR, Ananda Bazar Patrika, Kolkata and Delhi Press, Delhi. Mr. Tyagi specialises in corporate and documentary films having produced over 50 such films. He has anchored more than 1,000 programmes on diverse subjects such as current affairs, elections, business and finance including live discussions on Union Budget, international affairs and so on. He was awarded the best Journalist award for covering Punjab by Hon’ble Prime Minister of India Sh. 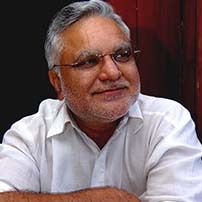 Chandrashekhar. He has also worked as Honorary Political Advisor to Haryana Government.